Seaters, a global technology data analytic platform specializing in helping sponsors, teams, and venues maximize their assets, has partners with Cartan Global to help fill seats at the Rio 2016 Olympic Games. Seaters captures demand for your events. Seaters, a New York-based marketing technology company, and Cartan Global, the exclusive authorized ticket reseller for Rio 2016 Olympic Games for 36 countries and territories, have signed a partnership to fill empty seats at the Rio 2016 Olympic Games. Cartan will use Seaters’ unique technology platform to build wish lists for fans to sign up for the events they want to see. This will allow Cartan to capture additional demand and key analytics while allowing more fans to attend otherwise sold out events. Seaters began to solve the problem after seeing the London Summer Olympics in 2012 and Sochi Winter Olympics in 2014. Each of these events left many real fans disappointed as supposed “sold out” events appeared to have many empty seats seen on TV and social media. 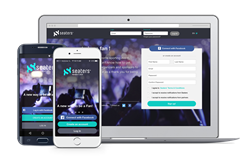 Seaters developed a technology platform that allows sponsors and organizers to fill their empty seats with new demand captured through wish lists. Fan expectations can be managed with Seaters patent pending "Likelihood Algorithm". Events at the Rio 2016 Olympics are expected to have 1% to 10% of their seats unfilled while being announced as "sold out". By using the Seaters platform, Cartan Global will ensure that as many fans as possible will be able to attend the games. Established in 1899, Cartan Tours Inc. is one of the oldest and most respected companies in the American travel industry. Its sport division, Cartan Global, is based in California as part of the Elmore Sports Group (ESG) and provides exclusive and official travel and ticketing services to both Summer / Winter Olympic Games and the FIFA World Cup™. Cartan Global is exclusive authorized ticket reseller of the Rio 2016 Organizing Committee: Aruba, Barbados, Belize, Bermuda, Bolivia, Cambodia, Cayman Islands, Chile, Colombia, Costa Rica, Dominican Republic, Ecuador, Federated States of Micronesia, FYR of Macedonia, Greece, Guam, Guatemala, Guyana, Honduras, Jamaica, Latvia, Mexico, Nicaragua, Panama, Paraguay, Peru, Puerto Rico, St. Lucia, St. Kitts and Nevis, St. Vincent and the Grenadines, Slovenia, Suriname, Trinidad and Tobago, Uruguay, Venezuela, and the Virgin Islands. Seaters is a marketing technology company that aggregates demand for time sensitive/perishable assets. By aggregating demand in advance, Sponsors and Event Organizers have a targeted single source of pre-qualified fans. As tickets become available, Sponsors and Organizers can immediately distribute them with a click of a button. Seaters is fan friendly and does not scalp tickets. No ticket distributed through the Seaters platform is ever higher than face value. Oftentimes sponsors distribute their tickets free of charge to the fan. Fair treatment of the consumer and management of expectations are guaranteed by the patent pending Likelihood Algorithm. Share the live, fill the empty seats: even at sold-out music or sports events there are always between 1% and 10% empty seats. The main repercussions are frustrated fans and a bad image. Seaters has offices in New York, Brussels and London.